South Korea’s LG Electronics said it expects first-quarter operating profit to rise 20 percent from a year ago to its highest in 9 years, beating market expectations. The world’s No.2 television maker did not disclose details of the results but analysts said bullish sales of OLED TVs and premium home appliances likely offset weakness in its mobile phone division. Preliminary January-March profit came in at KRW 1.1 trillion ($1 billion), the company said, beating a Thomson Reuters StarMine SmartEstimate of KRW 935 billion from a poll of 16 analysts. It was LG Electronics’ highest quarterly operating profit since the second quarter of 2009. Strong sales of organic light-emitting diode (OLED) TVs, as well as lower costs from cheaper liquid crystal display panels, boosted earnings for its TV division, analysts said. “Home appliances and TVs are chronically low-growth fields, but LG is playing at a higher level across the field,” said John Ko, analyst at NH Investment & Securities. As for the home appliance division, fatter margins from high-end appliances and new products such as its Styler steam closet for clothes increased profits in what is overall a static market, analysts have said. The mobile phone divison is expected to have posted its fourth straight quarter of losses due to tough competition, albeit a smaller loss than the previous quarter, analysts have said. 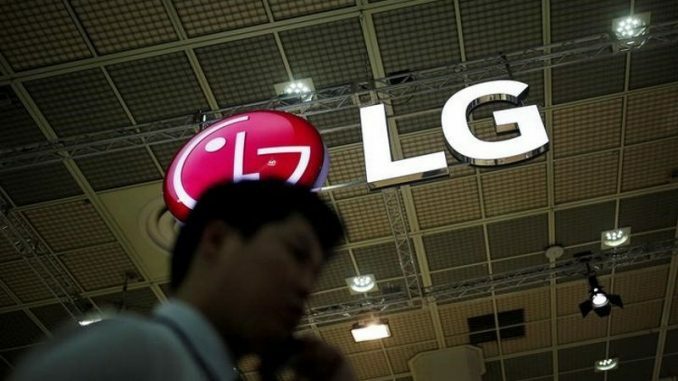 LG said its revenue likely climbed 3 percent to 15.1 trillion won, compared to a 15.4 trillion won SmartEstimate which gives greater weight to recent estimates by analysts who are more consistently accurate. The firm’s shares closed up 5.7 percent on Friday after the earnings guidance, compared with a 0.3 percent fall for the broader market.